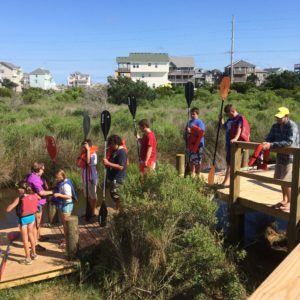 Hatteras kayaking, sound access, crabbing, and programs for kids! 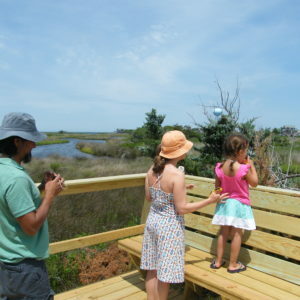 Come see the diverse wildlife of our salt marsh up close and personal! 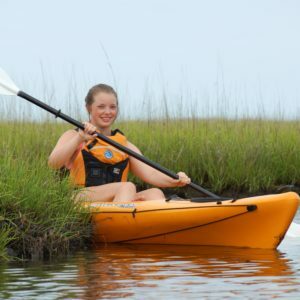 The morning kayak nature tour goes through our winding wetlands and out into the Pamlico Sound. 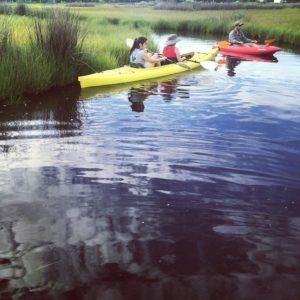 All skill levels of kayaking are welcome. 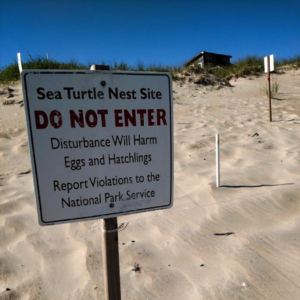 Join us on the beach and help us excavate a mock turtle nest, identify turtle tracks, and learn everything you want to know about the life cycle of our local sea turtle species. Discover what you can do to help save our endangered sea turtles as we take a look at what it takes to rehabilitate these amazing creatures! 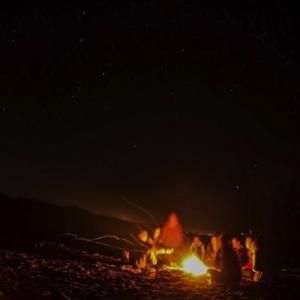 Relax around the campfire with an iconic Hatteras sunset and an exceptional stargazing experience. 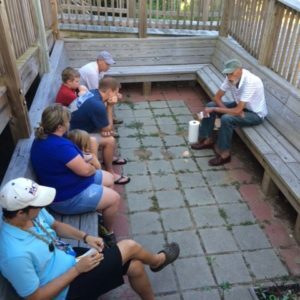 Learn about Outer Banks history, legends, and nighttime beach creatures underneath some of the darkest skies you’ll find along the East Coast. 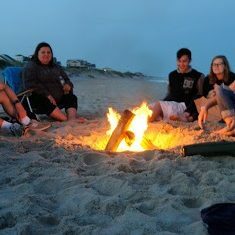 Both kids and adults will enjoy searching for ghost crabs in the tide, eating s’mores, and laying back under the Milky Way. 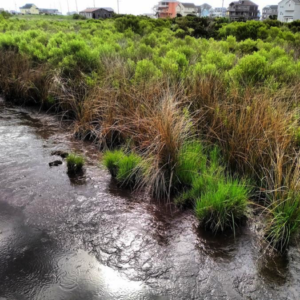 Salt marshes are one of the most interesting and productive ecosystems on the planet and we have one right in our backyard! 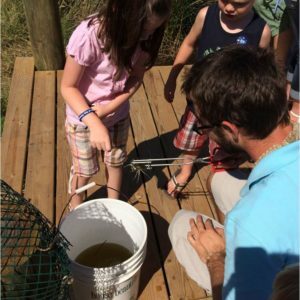 Throw in a line, pull up some blue crabs, and discover what kinds of plants and animals call this wetland home. Expand your birding skills and experiences while enjoying the company of other bird enthusiasts! 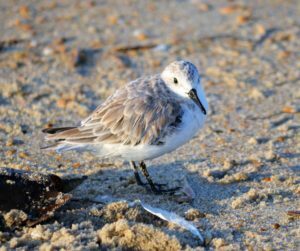 Join Hatteras Island Ocean Center guides for a fun program that will teach key birding skills such as identification by field marks and calls while offering special focus on the types of birds that you can expect to see here on the Outer Banks. Stay tuned for big changes to our program this upcoming 2019 season! 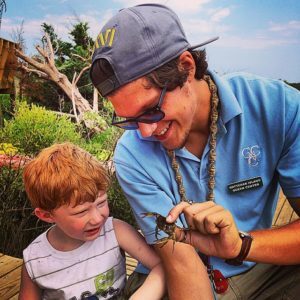 The Ocean Center Exhibit Hall will open in April and our nature programs will begin on May 27, 2019. Amazon will donate 0.5% of the price of your eligible AmazonSmile purchases. Click here. Click here to view our wishlist! 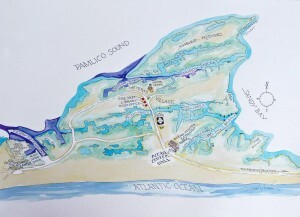 Note: Be sure to select our gift registry address when prompted for shipping location. 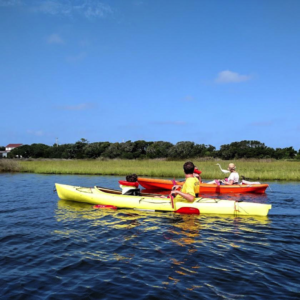 The Hatteras Island Ocean Center is a place for ALL OF US to enjoy the ocean and wetlands, play, learn, and have fun.